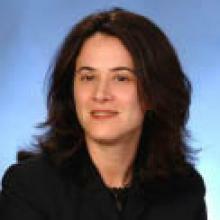 Stacey Platt is a Curt and Linda Rodin Clinical Professor of Law and Social Justice and the Associate Director of the ChildLaw Clinic at Loyola University Chicago School of Law. She and her students represent children in private family law disputes. Professor Platt is on the board of directors of the Association of Family and Conciliation Courts, the editorial board of the Family Court Review, and the Joint Editorial Board on Family Law for the Uniform Law Commission. She published her article, Set another Place at the Table: Child Participation in Family Separation Cases, in the Cardozo Journal of Conflict Resolution. She teaches litigation skills to lawyers across the country as a member of the ABA Commission on Domestic and Sexual Violence’s training team. Professor Platt received her undergraduate degree from the University of Wisconsin and her law degree from the New York University School of Law.